We have amazing discounts on Lazer Maze Birthday Parties for kids, teens, and "big kids" :) Lazer Maze is a "Main Attraction" and included in all birthday packages. Your goal is to enter the enemies lair, sneak through the impossible maze of lazers without tripping them off, hit the self-destruct button at the back of the room to blow up their secret weapon, and then get back out before the place blows up! 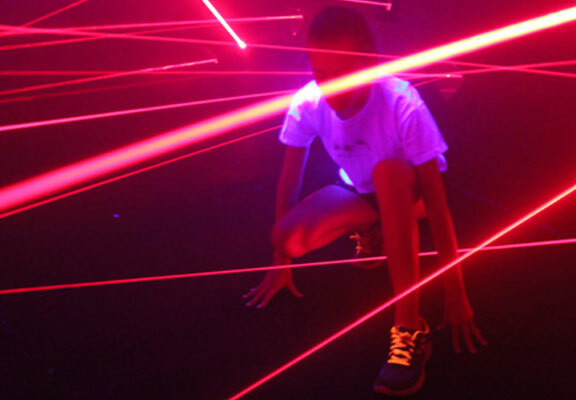 The lazers in our Lazermaze are safe lazers... except for your score. 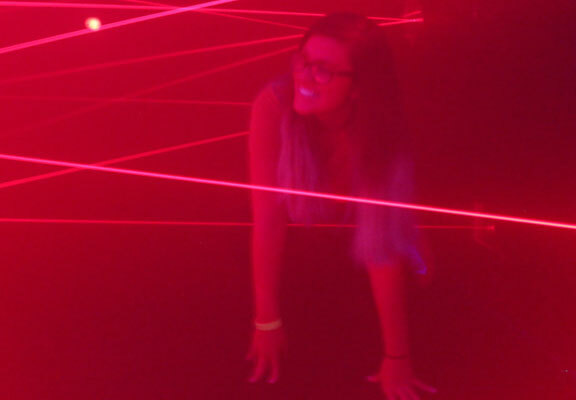 There is smoke in the lasermaze arena so you see them, but they won't hurt you at all. If you "trip" a laser an alarm sounds and you lose 200 points, but keep going. 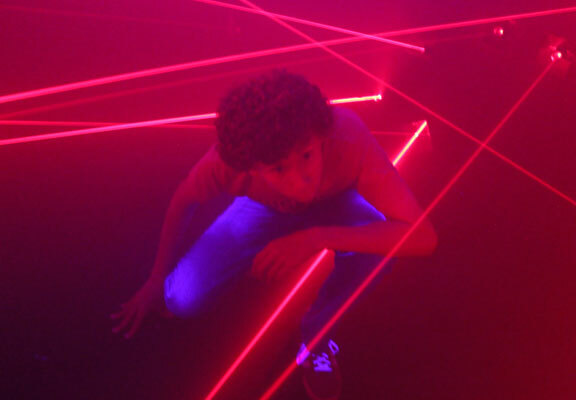 If you trip 10 lasers in the laser maze gravity will bring you down and it's game over! Blow up the Enemies Secret Weapon! There are 3 difficulties: Easy, Regular, and Hard. EASY is best for little kids. Lazermaze is recommended for 3 years old on up. Older kids, teens and adults love playing out their movie memories in lasermaze too - usually starting on the REGULAR level. If you played before and are ready to defy the biggest challenge, try the HARD level, but be prepared becuase there are so many lasers you're sure to not make it out unscathed! The best part of Lazer Maze is coming back out and talking smack with your friends or family who were watching you on the screen. Maybe you just smoked their score, or maybe you set the time that they've got to beat. Either way the fun has just begun, and that's the XL way! Keywords: Lazer Maze, Lazermaze, Laser Maze, Lasermaze, Omaha, Nebraska.